Q Pootle 5 fans will love this gentle tale of interplanetary racing. 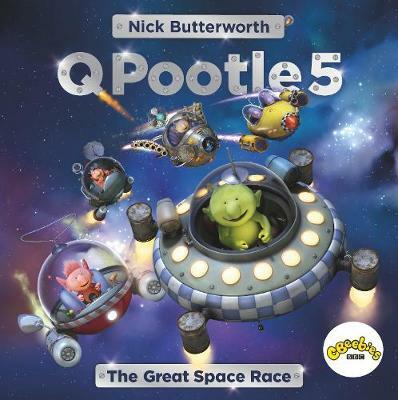 Fans of Q Pootle 5 will race to get their hands on this lavishly illustrated picture book. The Great Space Race is a big event for the residents of planet Okidoki. Oopsy wants to win, but she forgets to fix her booster. When inevitable disaster strikes, Pootle stops to help. But has Oopsy sunk the chances of victory for both of them?